GM produces a vast array of vehicles sold under various marques (Chevrolet, Buick, Cadillac, etc.) but under the GMC name it produces only crossovers, SUVs, pickup trucks, and vans. 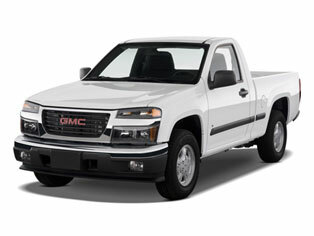 The GM pickup line of vehicles (Sierra) accounts for a large portion of the company's sales, followed closely by the SUV group (Yukon). The Sierra trucks (often referred to as "Jimmies") are well-respected workhorse vehicles that are marketed as an upscale alternative to Chevy's Silverado line. Here at A1 Transmission Service Center, we've been rebuilding GM transmissions for decades. Whether you're driving a classic Capri, a luxurious Grand Marquis or anything in between, we know what's under the hood. Experience is essential to a great rebuild and we have all the tools needed to get the job done right and bring your GM's transmission back to like-new operation. No matter which GM you drive, bring your transmission challenge to us. We'll diagnose the problem and get it fixed at a price you'll like a lot!